Phew..... lots of design in NYC over the past couple of weeks. I have so much to report. I will be focusing on a light series called Celebrating light, where you will discover novel innovations in lighting design and technology. Enjoy! 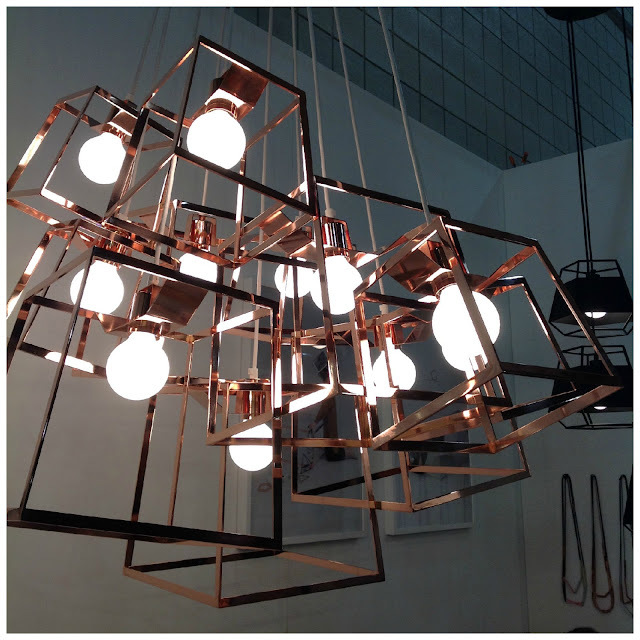 7 piece cluster lighting fixture by Iacoli & McAllister comes in brass or copper now! Bling, bling! I have seen it in matte black too. 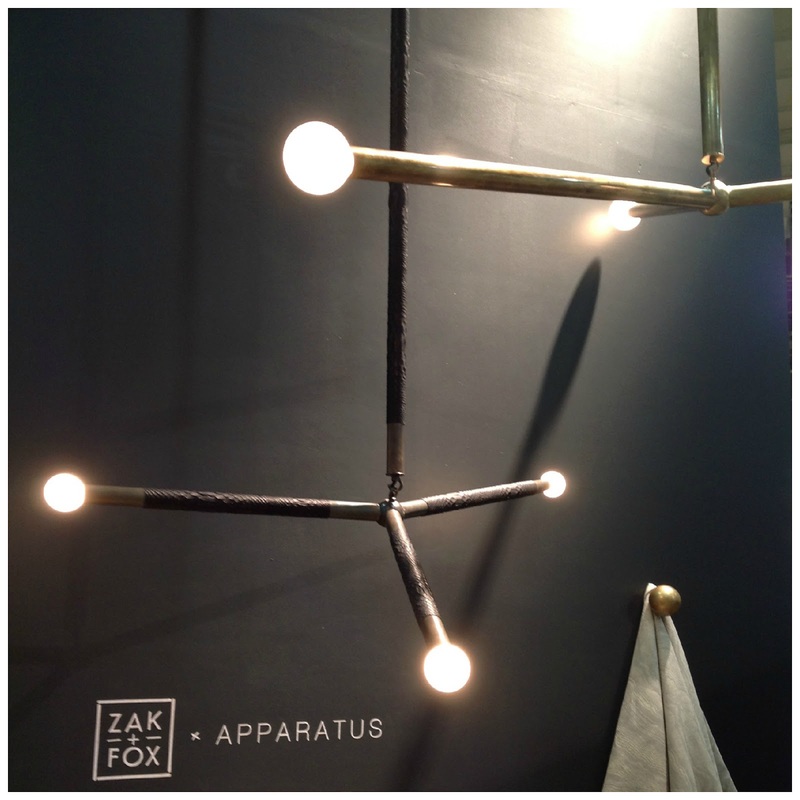 The fixture can be separated into individual pieces or clustered into a significant size pendant. Love the felxibility! 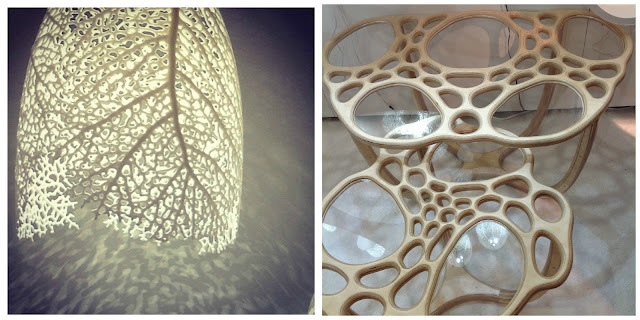 Inspired from natural phenomena with complex and unconventional geometries, Nervous System design company is creating some intricate affordable lighting, jewelry and tables using 3d-printing. You can create your very own custom cellular design jewelry and sculptural tables using their Cell Cycle design app. Click HERE. Read more about Nervous System in a past post. Artful lighting fixtures by Apparatus Studio showcased the merging of modern form with handcrafted materials like brass, hand etched glass, leather and found object.....If you close enough, the leather looks like the texture of a tree trunk. So interesting!! Illumi are radial bands of lit wonder by Radius by Celadon Group. Made in Denmark, the fixtures are constructed from recycled aircraft-grade aluminum that offers intense indirect light. 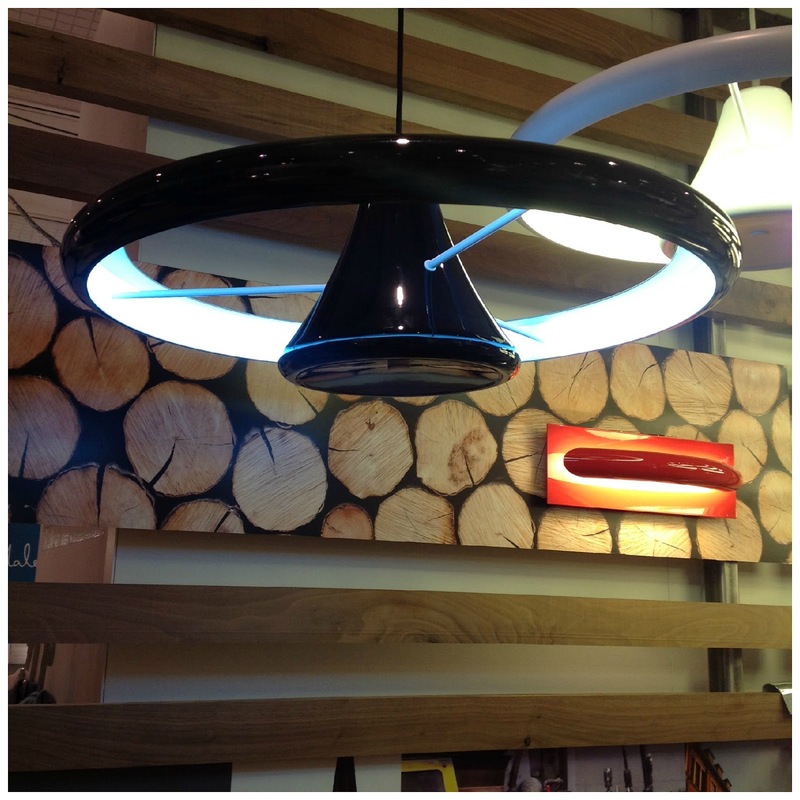 You can program 26 colors and it comes in a range of metal finishes. 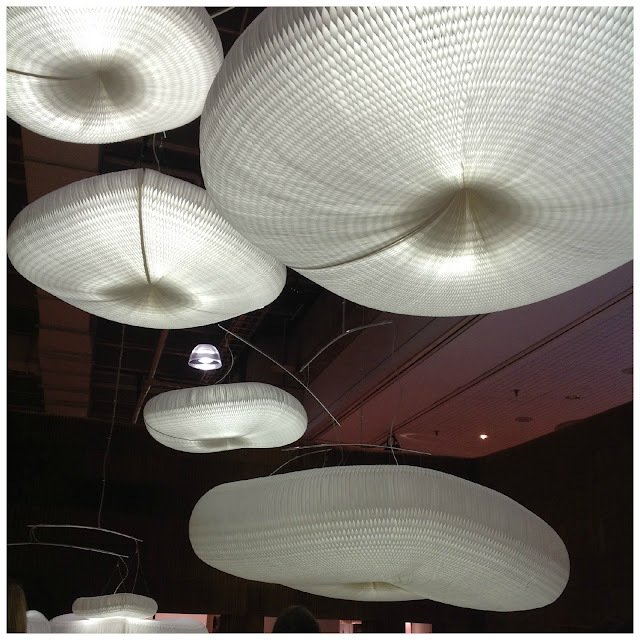 Luminous Cloud softlight mobiles, inspired by the mobile constructions of Alexander Calder by molodesign. You just want to reach up and touch it! 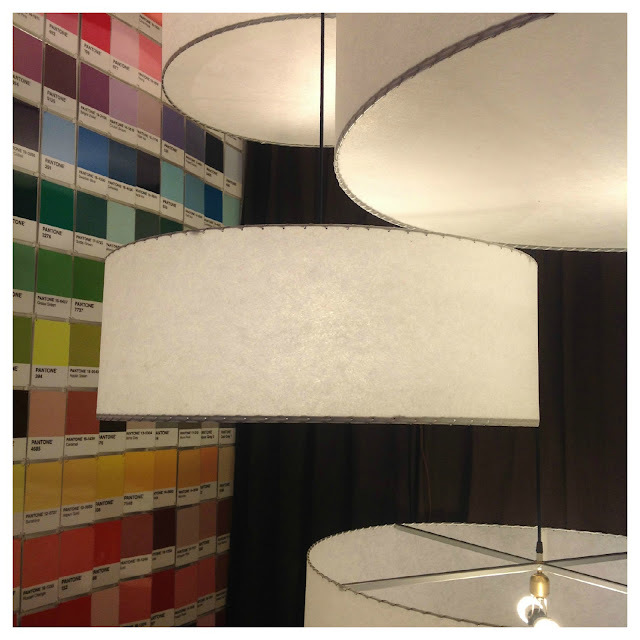 Over-sized Moon Shine Lamp & Shade drum pendants are simple yet significant. The choices are limitless...comes in numerous colors and materials like fiberglass parchment, metal, poly-carbonate, mesh, grass,etc. Perfect for a hotel or clubby spot!